Authorities say they have arrested a suspect in a Thanksgiving night shooting at an Alabama shopping mall where police killed a man they thought was the shooter. The Alabama Law Enforcement Agency says 20-year-old Erron Martez Dequan Brown of Bessemer was charged with attempted murder in the Nov. 22 shooting at the Riverchase Galleria in Hoover. Inspector Frank Lempka with the U.S. Marshals in Atlanta said Brown was arrested Thursday morning at a relative’s home in South Fulton, just outside of Atlanta. Lempka said Brown was taken to the Fulton County jail for an extradition hearing to be sent back to Alabama. Emantic “EJ” Bradford Jr. was killed by an officer responding to the report of a mall shooting. Police said Bradford had a gun, and they initially blamed him for opening fire. They later retracted that allegation. Leaders of an Alabama city that’s been the target of protests since police shot and killed a black man in a shopping mall are asking the state for permission to release more information about the killing. Hoover city officials made the request during an appearance Thursday. They say they’ll look at releasing information on their own if no response comes by noon Monday. 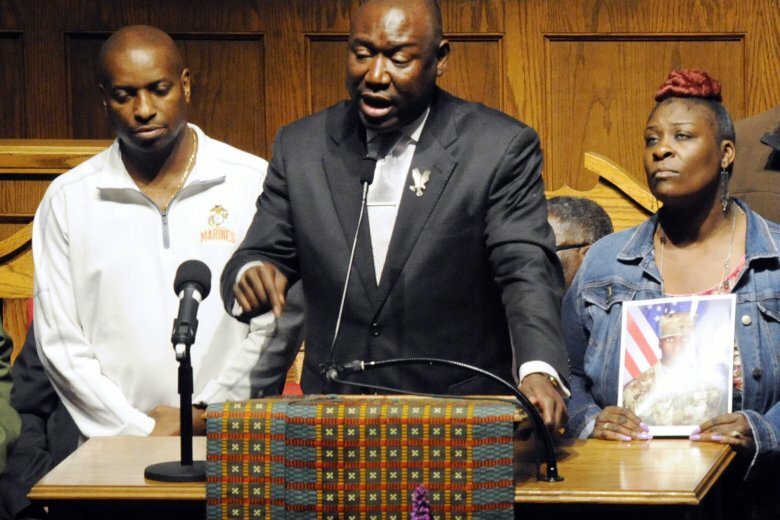 Demonstrators and relatives of Emantic “EJ” Bradford Jr. have pushed authorities to release video and other evidence. Bradford was killed by an officer responding to a report of a mall shooting on Thanksgiving. The state is investigating and so far has refused to release video and other information about the killing. A spokesman for the Alabama Law Enforcement Agency didn’t immediately respond to an email seeking comment.